Sheriff of Jefferson Parish. 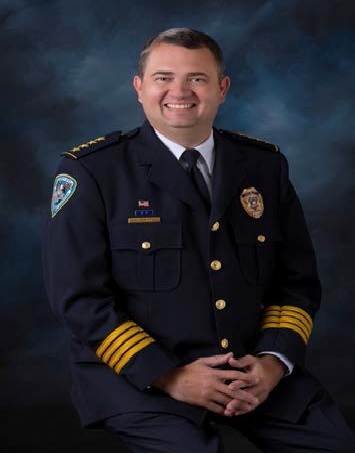 On March 24, 2018 Jospeh P. Lopinto, III was elected with 52% of the vote to complete Sheriff Normand’s unfinished term. He served the Jefferson Parish Sheriff Office as Chief Criminal Deputy and Commander of Field Operations, Legal Liaison to Sheriff Newell Normand, Narcotics Detective, and Deputy. He joined the JPSO in 1997 as a recruit. A 1994 graduate of Brother Martin High School, Mr. Lopinto worked his way through college and graduate school, receiving a Juris Doctor (law degree) from Loyola University School of Law, Bachelor’s degree in Criminal Justice from Loyola University, and Associate degree from Delgado. He has been instrumental in law-enforcement education, serving as both a teacher and mentor in the Jefferson Parish Academy as well as with other sheriffs and law schools throughout the state.